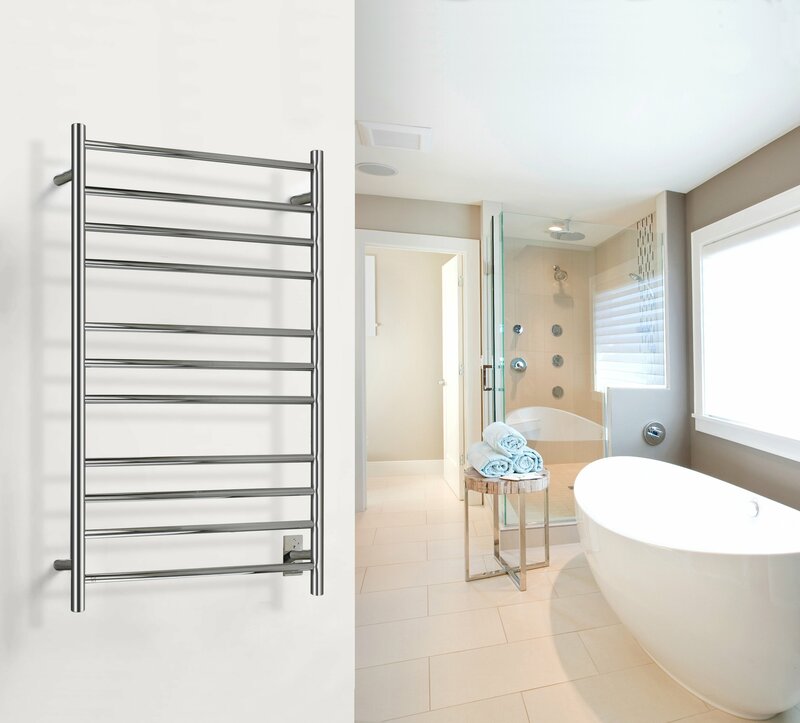 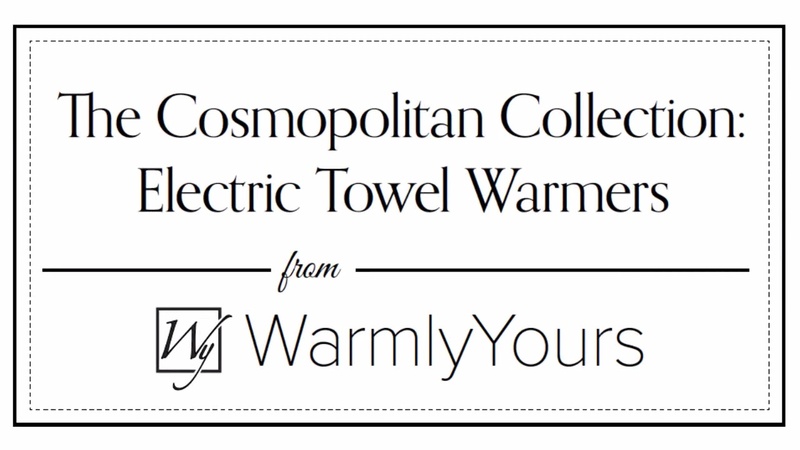 The Malta towel warmer from WarmlyYours is a beautiful, large model that perfectly blends high-performance functionality with stunning aesthetics. 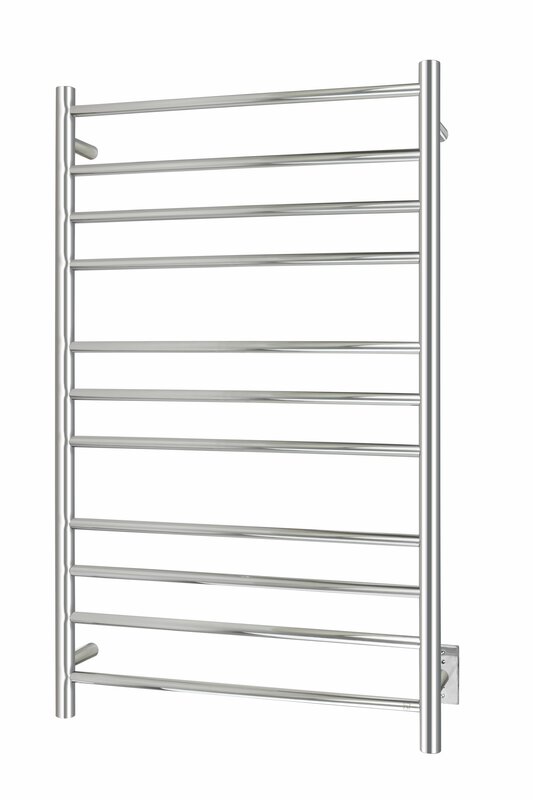 With 11 heated, round bars the Malta boasts an impressive heat output of 443 BTUs per hour. 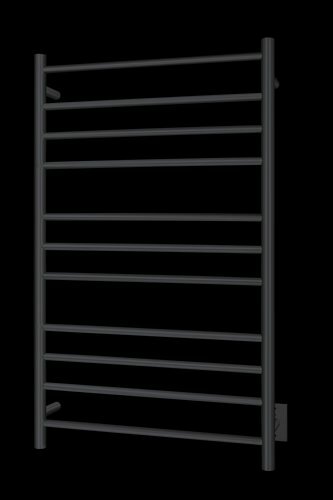 This wall-mounted model will be able to warm and/or dry a large variety of towel shapes and sizes. 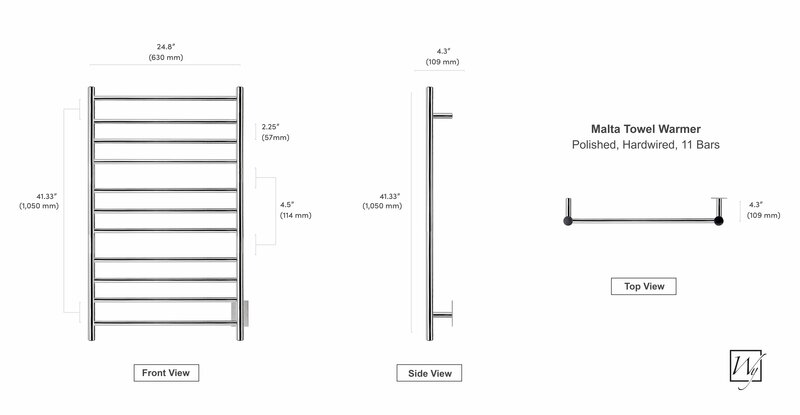 The Malta’s hardwired connection (120 VAC) provides a sleek appearance without having to worry about visible wires or plugs. 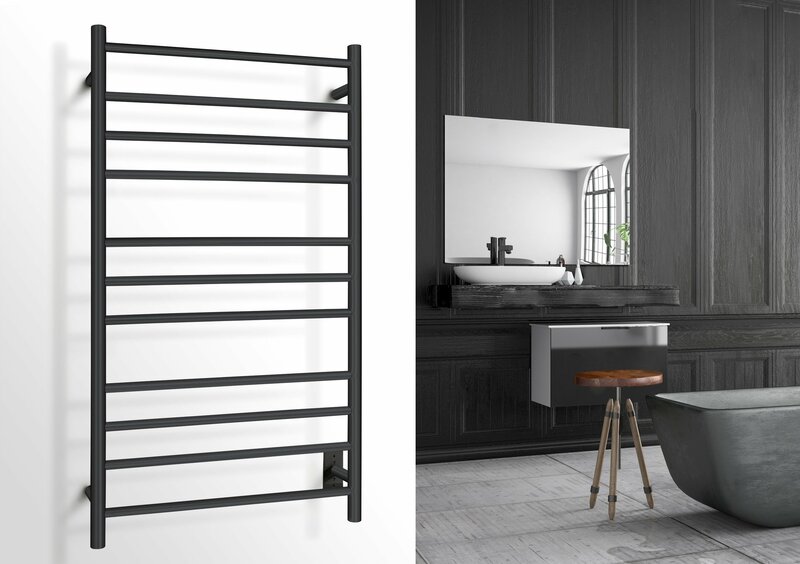 The matte black finish of the Malta will make this model a visually striking addition to any room. This model comes with built-in TempSmart™ protection to prevent the unit from overheating.